Long time no posting. Sorry. I've been working on our new CIHR grant proposal, but for unknown reasons not doing this on the blog. But I have a point I need to make in the proposal, and to a colleague who's just generously critiqued a draft for us. I'm having a hard time finding a way to explain what I mean, so, of course, I'll try doing it here. 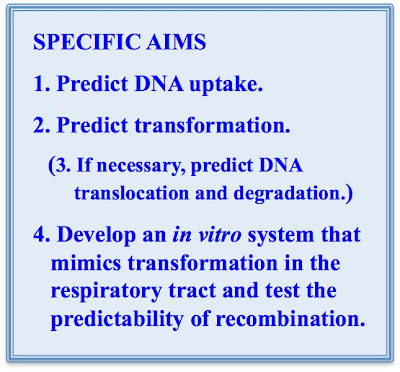 As you can see from the Specific Aims above, our goal isn't just to investigate the factors affecting transformation, but to incorporate these factors into a predictive model (initially two separate sub-models), and to test this model's predictions against the real transformation seen in a laboratory version of the respiratory tract environment. 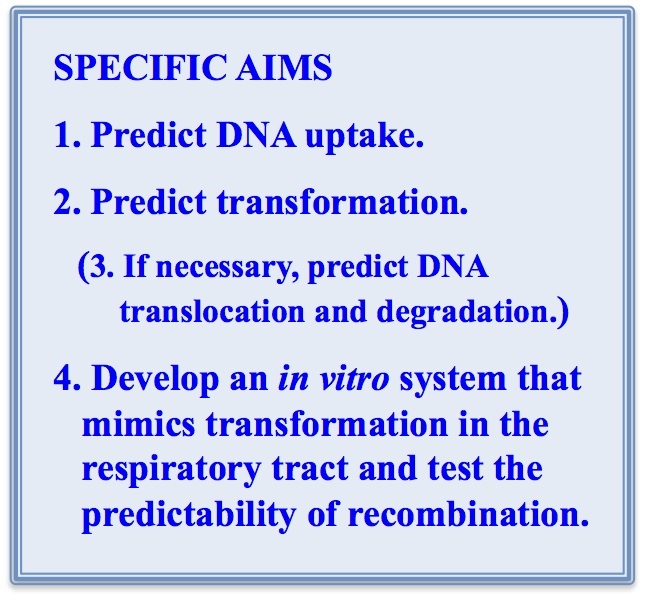 Our hope is that this model or its more sophisticated successors can be used to predict clinically important genetic exchange, leading to modifications in drug and vaccine design that minimize the opportunities for specific exchange events. Proposals typically describe how the results could be used to improve medical treatments, but for basic science this is usually just a 'somebody, someday' hope. Because the researchers won't themselves be applying their results, there's no incentive to make sure they're in a useable form. 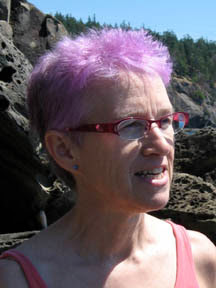 For genetic exchange the outcome has been that, although we have lots of descriptive information about the mechanisms and regulation, and lots of surveys of its significance in natural populations, none of the information can be combined into useful predictions. A slick puff piece on my research for only £1960!